Have you ever been guilty of sending mixed messages? This Halloween Fence will definitley be ambiguous. On the one hand, each post displays a large "Welcome" message. But on the other hand, each skull has creepy LED lights in the skull caps. 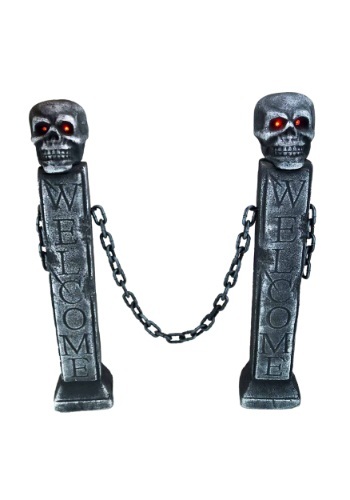 Let's just agree it's a creepy way to make your guests feel welcomed! 'Tis the season to get a little spooky so fill your cabinets with plastic spiders and hang up the ghouls! Put this Haunted Fence Posts (Set Of Three) in front of your house to let people know that all witches and goblins are certainly welcome.